As if it isn’t enough that Glenn and Chris have discovered the Westcountry (or is it the Westcountry that has discovered them?) 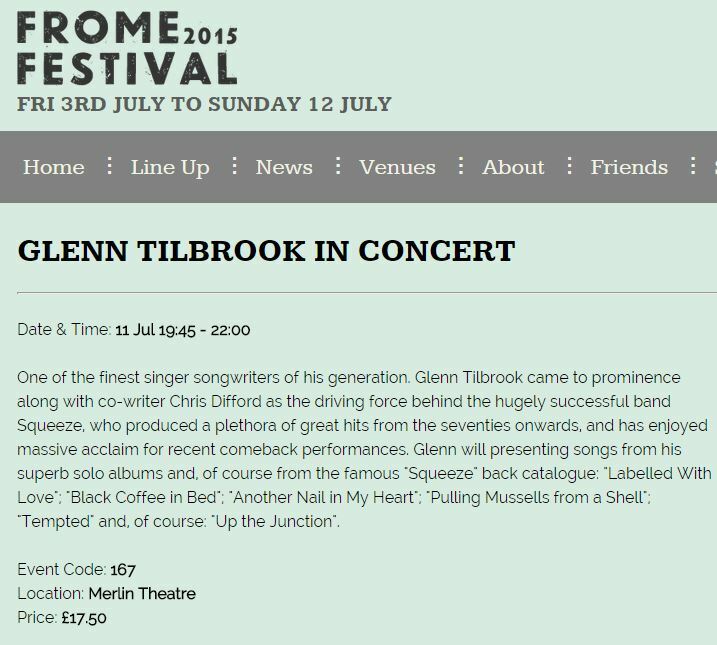 with Glenn playing gigs in Devon, Cornwall and Somerset and Chris and Glenn doing their warm-up show in an isolated barn in Somerset, Glenn is due to play in Frome in Somerset as one of their major acts on 11 July 2015 in the Merlin Theatre. Tickets are £17.50 and available to buy now. “Frome Festival is now in its 15th year and this exciting arts festival is bigger than ever with an eclectic mix of events throughout Frome’s venues, pubs, churches, halls and gardens!